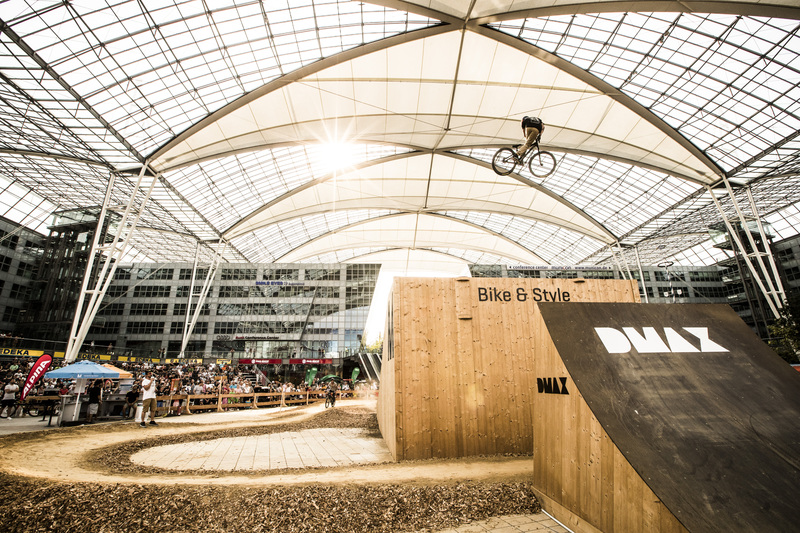 Munich Airport, Germany, is hosting the second edition of Bike and Style from August 3-19, 2018, at the Munich Airport Center (MAC), located between terminals 1 and 2. Bike and Style is an action-packed event featuring spectacular freestyle shows and high jump contests with competing riders from around the globe. A special highlight this year will be a mountain bike freestyling contest, putting top international riders to the test on August 18, 2018. The public can also attend the practice sessions ahead of the qualification rounds. The elite cyclists will be competing for €3,000 (US$3,468) in prize money. During the entire 17-day event, audience members can sign up for free test rides of the latest electric mountain bikes in the MAC Forum, and younger viewers can take part in a few rounds on a special kids’ circuit. Children from 6–16 years of age can also take workshops to hone their skills and learn exciting new tricks.